Good early-season snowfall has Beaver Creek and Vail continuing to roll out more and more skiable terrain for the weekend, although the weather forecast looks mostly dry until the end of next week. Sun Up and Sun Down Bowls opened Thursday (www.vail.com photo). Parts of both Sun Up and Sun Down Bowls opened to the snow-riding public on Thursday, increasing Vail’s skiable terrain to 2,044 acres (out of 5,289 total). Officials say more terrain will likely open in time for weekend skier traffic. 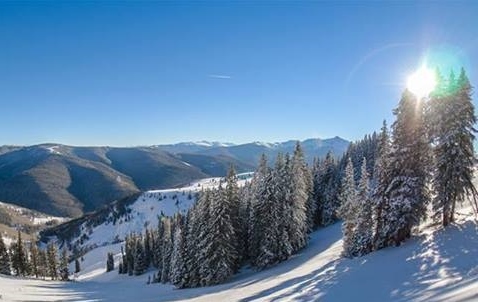 Beaver Creek on Thursday announced the resort will open Grouse Mountain, Larkspur Bowl and Arrowhead, providing 1,406 skiable acres (77 percent of total terrain) accessed by 23 of 25 lifts. Snow riders will also gain 30 minutes more time starting Saturday when lifts open at 8:30 a.m. for the rest of the season. “Our teams at Beaver Creek have done a remarkable job of preparing the mountain and our facilities as quickly as possible, capitalizing on great early season snowfall and snowmaking conditions,” said Doug Lovell, chief operating officer for Beaver Creek Resort. Forecasters say Colorado won’t see much new snowfall for the next week.